There may be something in the water, or it may be a sign of coming strength in the Canadian job market. But two Canadian companies specializing in talent acquisition and recruitment platforms have won some impressive recognition recently for their innovation and leadership. Based in Waterloo, Ont., Qwalify is an automated hiring platform that includes self-service tools for targeting sourcing, filtering and interviewing to help companies manage the recruitment and hiring process. Its CEO, 25-year old Philippe Noelting, was recently chosen to represent Canada at the prestigious Drucker Forum in Vienna, which aims to answer broader questions about the future of capitalism. Noelting spoke about the impending talent war, the growing challenges for youth entering the workforce and a call to action for the business community to get to grips with talent liquidity. 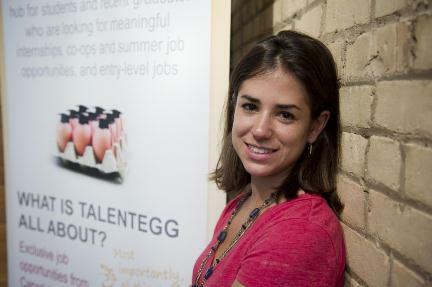 Also earning recognition recently was TalentEgg, a career posting and resource site focused specifically on new graduates. The company and its founder, Lauren Friese, was honoured with the National Best Business Award at the recent Canadian Youth Business Foundation chairman’s awards in Toronto. The award includes a $20,000 prize to be used for business expansion. What if Yammer, BaseCamp, Zoho and DropBox all had a baby?